Description It sips fuel. The Accord will have plenty of room to safely transport your kids to the next ballgame or family outing. 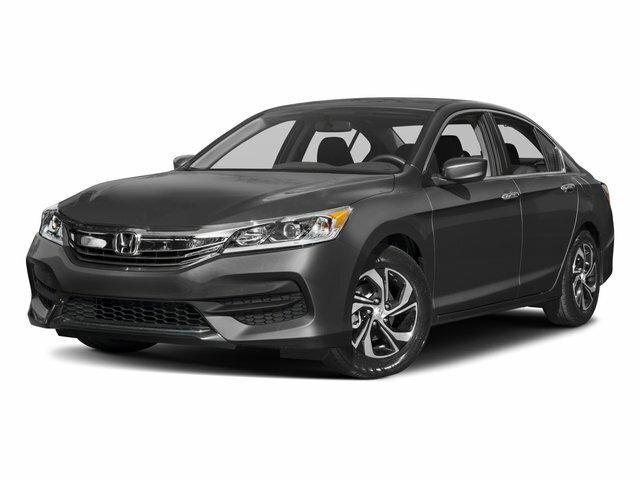 This Honda Accord will stick to the ground on the sharpest of turns. With exceptional handling you will enjoy every curve of your favorite roads. The vehicle comes standard with numerous top of the line safety features. With having reputation for being one of the most dependable vehicles on the road,this unit won't let you down. This vehicle has a 2.4 liter 4 Cylinder Engine high output engine. Good News! This certified CARFAX 1-owner vehicle has only had one owner before you. Our dealership has already run the CARFAX report and it is clean. A clean CARFAX is a great asset for resale value in the future. The high efficiency automatic transmission shifts smoothly and allows you to relax while driving. This unit is front wheel drive. Enjoy the tried and true gasoline engine in this model. This mid-size car is painted with a sleek and sophisticated black color. Anti-lock brakes will help you stop in an emergency. This mid-size car has air conditioning that feels like a walk-in refrigerator. Bring all your music with you along for the ride in it with its mp3 player aux input jack. See what's behind you with the back up camera on the Accord. Easily set your speed in this model with a state of the art cruise control system. Increase or decrease velocity with the touch of a button. It features a hands-free Bluetooth phone system. It is built for driving comfort with a telescoping wheel. The vehicle features tinted windows.